Housed within a restored rural building right on the outskirts of the village, the restaurant benefits from its inspired surrounds. The mixture of colours, textures, plenty of natural light and views of the Tuscan greenery creates a calm, relaxing environment. The menu by Head Chef Sonia and her son Pietro (sous chef and recent graduate from an esteemed local Catering School) features fresh local produce, modern culinary techniques and authentic flavour combinations. The passion for their area's rich culinary heritage and local produce shines through in each of the courses we sampled. 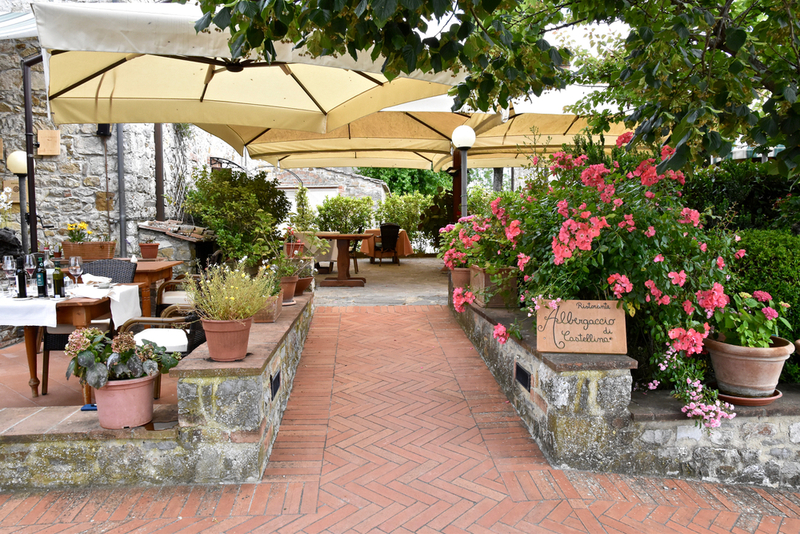 We loved the use of the best produce from the region including Chianina Beef, Pomarancino Lamb, Cinta senese piglet and free range wild boar from La Fornace, a local farm in Colle Valdelsa. Millstone flour, which is often derived from ancient and organic grains, is used to produce a delectable selection of homemade bread and pastas - each delivering memorable flavours and aromas. As a result of their wine expertise, you can also receive plenty of guidance in terms of wine matching and wine recommendations. 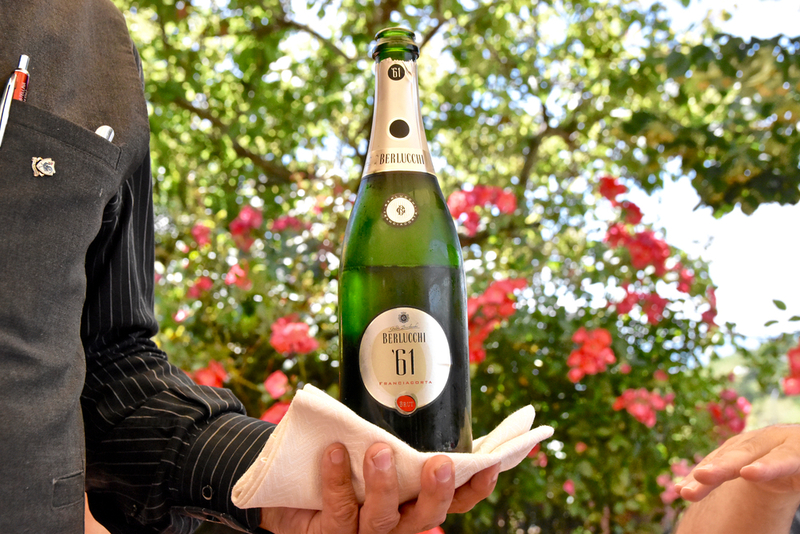 Each course we received was paired exquisitely with the perfect local wine. 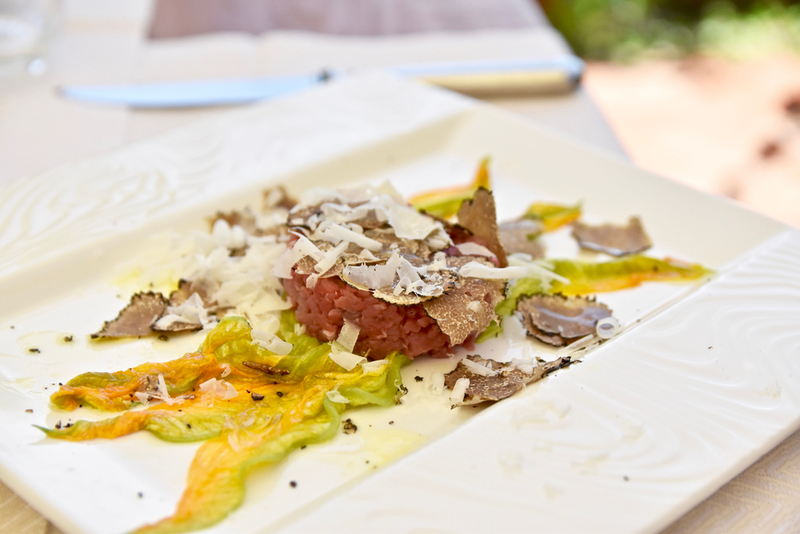 To start the tartare of Chianina beef with zucchini flowers was an outstanding take on this classic dish. Traditionally prepared, the tartare was delicately minced. The dish was generously topped with summer truffle which embellished the Chianina beef with a beautifully aromatic flavour. The pasta courses were excellent. The spaghettini was an absolute stand out. Cooked with wonderfully sweet Sicilian Datterini Tomatoes in a risotto-style to fully infuse the flavours into the dish and deliver creamy notes. Further layers of complexity were introduced with the addition of fresh pesto and a strip of buffalo mozzarella cream. Another wonderful pasta dish was the Testaroli (also known as the Tuscan pancake pasta). We loved the spongy and soft texture that is unlike any other pasta. For mains, the pigeon was outstanding. Cooked to absolute perfection the meat was tender and boasted a wonderful gamey flavour that paired beautifully with the sweet marsala and figs. 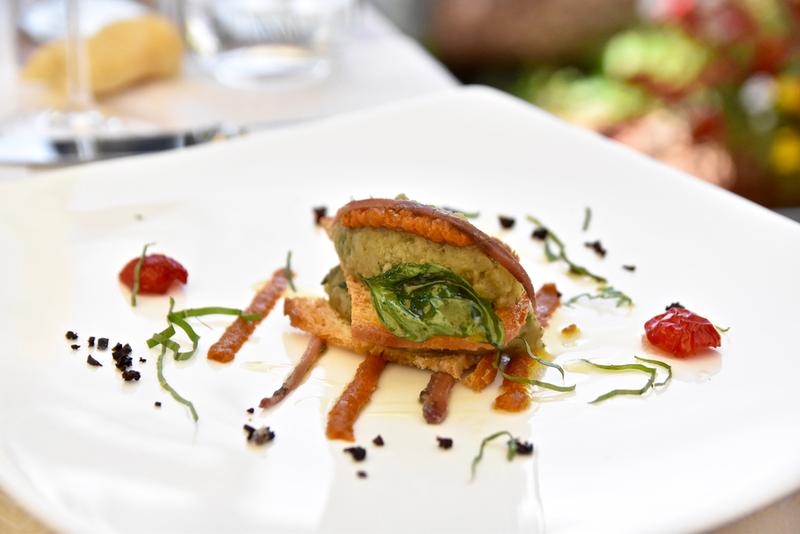 Together with the wilted spinach it produced an enlivening and very memorable dish. Belissimo! Our dinner concluded on a sweet note with beautiful dessert which showcased the versatility of the kitchen. 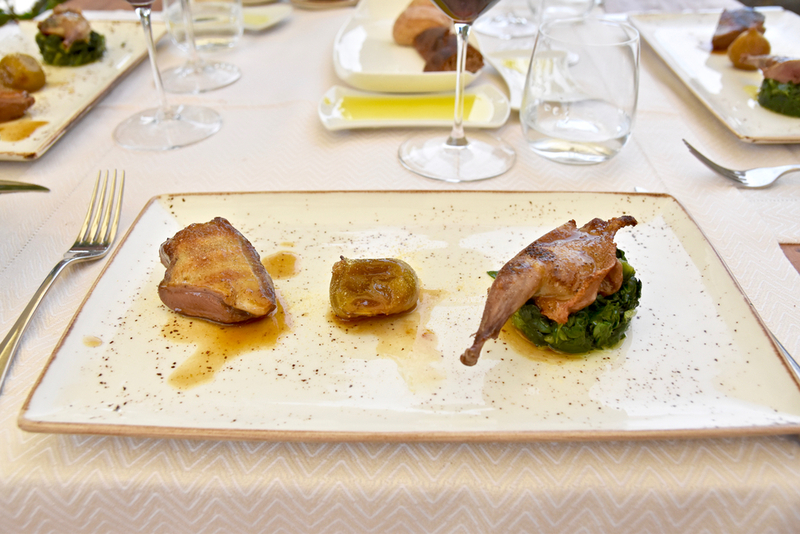 Albergaccio di Castellina impresses with daring and innovative culinary techniques combined seamlessly with tradition. A decadent and memorable dining experience, Albergaccio di Castellina is a restaurant that truly lives up to its outstanding reputation.